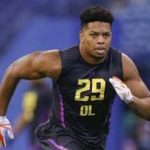 Running back Saquon Barkley, guard Quenton Nelson and defensive end Bradley Chubb will definitely not be available when the Packers pick at 14 in the first round of next week’s draft. 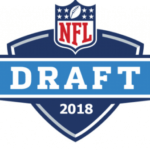 Linebackers Tremaine Edmunds and Roquan Smith and cornerback Denzel Ward also figure to be off the board. Everyone else could be in play when Brian Gutekunst makes his first selection as general manager. Not all of the following players are going to be around at 14, but most of them will be: wide receivers D.J. 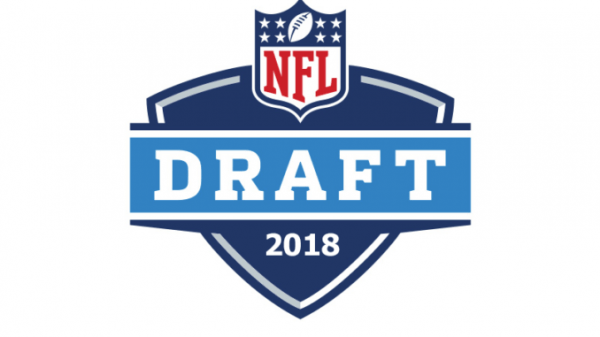 Moore and Calvin Ridley, tackle Mike McGlinchey, guard Will Hernandez, defensive tackles Da’Ron Payne and Vita Vea, defensive end Marcus Davenport, outside linebacker Harold Landry, inside linebackers Rashaan Evans and Leighton Vander Esch, corners Jaire Alexander, Minkah Fitzpatrick, Mike Hughes, Josh Jackson and Isaiah Oliver and safety Derwin James. Of those 16 players, here are my top 10 preferences for Gutekunst and the Packers – based on talent and fit. 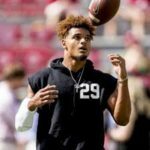 1) MINKAH FITZPATRICK (Alabama) – Think of him as a more talented Micah Hyde, the ex-Packer who went to the Pro Bowl last season as a member of the Bills. Fitzpatrick can play anywhere in the secondary. 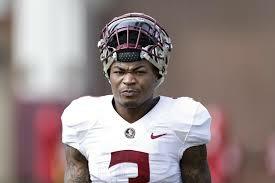 More importantly, he can play well anywhere in the secondary. 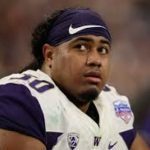 In Green Bay, he could start opposite Ha Ha Clinton-Dix at safety, and if needed, move to the slot in the nickel and dime packages. And while lining up as a boundary corner might not be the best use of his talent, he wouldn’t be a liability. 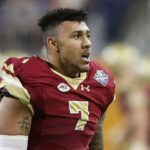 Simply put, Fitzpatrick is a winner with a capital W.
2) *LEIGHTON VANDER ESCH (Boise State) – I’m probably higher on him than most, but I can’t imagine a competent GM preferring any of the remaining corners (Alexander, Hughes, Jackson and Oliver) or pass rushers (Davenport and Landry). 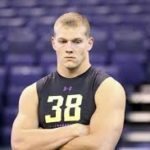 Vander Esch is the perfect inside linebacker for today’s NFL. 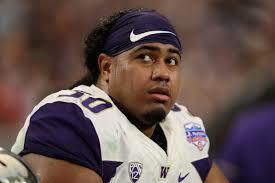 He can make plays sideline to sideline, cover tight ends and running backs and beat centers and guards on the blitz. And while he’s not the most physical guy at the point of attack, that would bother me a lot more if this was 1978 and not 2018. 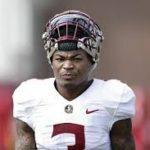 3) DERWIN JAMES (Florida State) – Think of him as a much better version of Josh Jones, whom the Packers drafted in the second round a year ago. James has the potential to be an impact player at either safety or inside linebacker, and he could even cover wide receivers from the slot, although I don’t see that as being one of his strengths. He’d also add leadership and a nasty attitude to a defense that can use a lot more of both. I just wish his tape from last season was a little better. Then again, if it was, there’s absolutely no way he’d get out of the top 10. 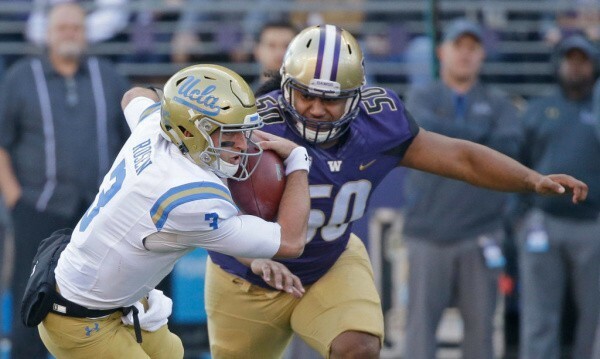 4) VITA VEA (Washington) – While Green Bay is deep at defensive tackle, it would be difficult to pass up a player who weighs 345 pounds but moves like a much smaller man. Imagine a front four of Vea, Mike Daniels, Kenny Clark and Muhammad Wilkerson. O-linemen would be peeing themselves before facing the Packers. He wasn’t always dominant in college, but he should benefit from working alongside better players in the NFL. It wouldn’t shock me to see him average 8 sacks a season once he learns how to get his hands and feet working in unison. 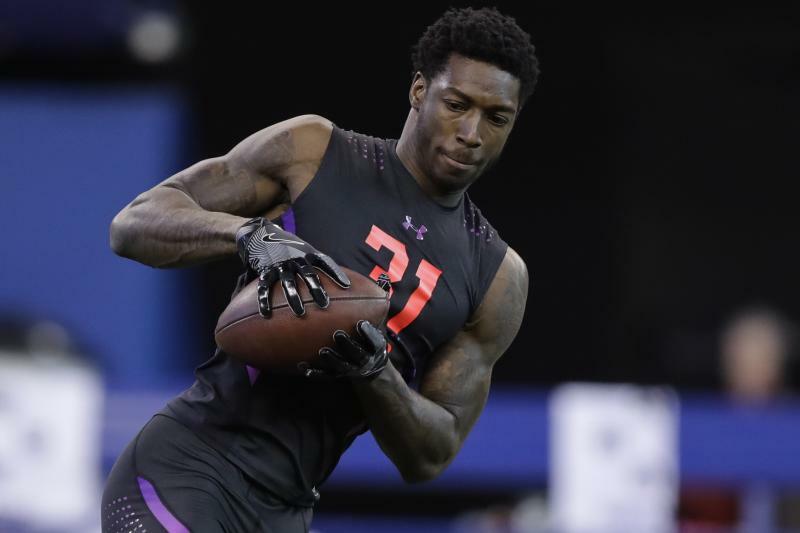 5) CALVIN RIDLEY (Alabama) – As I wrote last week, he’s not the biggest or the fastest wide receiver in the world, but he’s going to be a very good pro. He’d fit perfectly in Green Bay, where Geronimo Allison is currently the projected starter opposite Davante Adams. And as great as Aaron Rodgers is, he needs and deserves better. 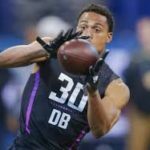 Could Gutekunst find a quality wide receiver in the second round? Perhaps, but anyone who thinks players like D.J. Chark and James Washington are comparable to Ridley has either never watched those players or is clueless. 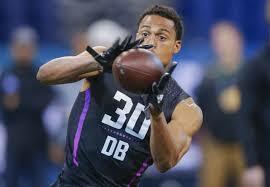 6) ISAIAH OLIVER (Colorado) – Gutekunst showed no interest in a very good free agent cornerback who stood 5-foot-10 (E.J. Gaines), so it’s hard to imagine him drafting either Alexander or Hughes at 14. And while Jackson has ideal size, Oliver is just as big, but faster and a bit smoother in transition. As is the case with Vander Esch, I’m a lot higher on this player than most. I see a corner with the perfect skill set to excel in Mike Pettine’s defense. 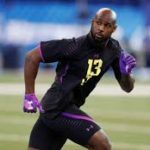 Even after drafting a trio of corners early since 2015, the Packers still need a No. 1. Oliver could be that guy. 7) RASHAAN EVANS (Alabama) – He’s similar, but not quite as good as C.J. Mosley, who also starred for the Crimson Tide before becoming a Pro Bowl regular for the Ravens. 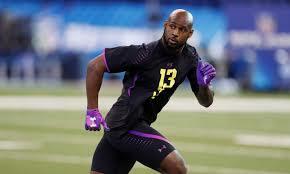 Evans is an explosive athlete who fits perfectly in today’s pass-happy NFL. He can run, hit and cover. 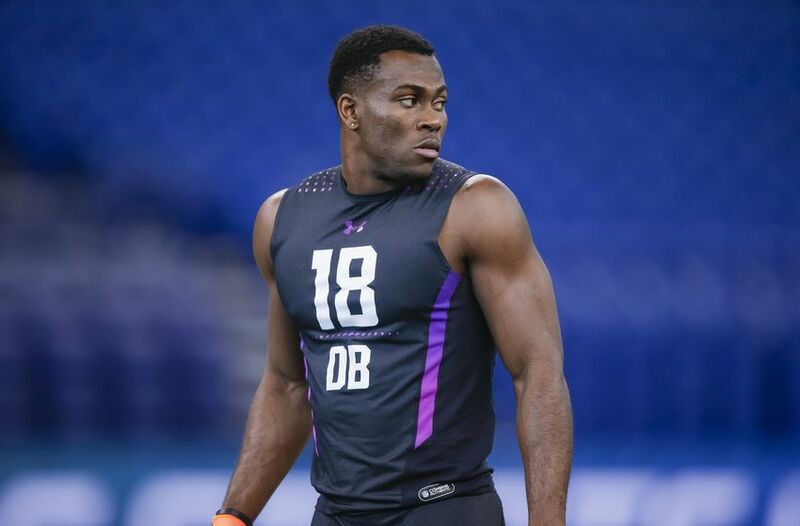 While I like Vander Esch better because he’s about 20 pounds heavier and more instinctive, the Packers couldn’t go wrong adding Evans to a defensive unit that currently employs heady but marginal athletes Blake Martinez and Jake Ryan as its starting inside linebackers. 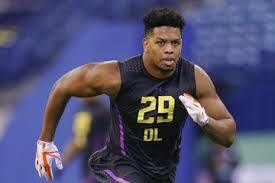 8) MARCUS DAVENPORT (Texas-San Antonio) – Gutekunst would need a huge pair of cojones to make this guy his first ever pick. While there’s no question Davenport has the skill set to be an impact player in the NFL, unlike other small school pass rushers Khalil Mack (Buffalo) and DeMarcus Ware (Troy), he didn’t dominate against a low level of competition. That concerns me, and it should concern any general manager picking in the first half of round 1. There are simply too many other really good players to choose from to take such a big gamble at 14. 9) JOSH JACKSON (Iowa) – Good player from a school that’s treated Green Bay very well in recent drafts, but without the 8 interceptions on his resume from a year ago, I doubt anyone would be mentioning him as a No. 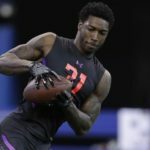 1 pick – let alone a potential option for the Packers at 14. 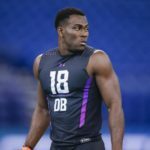 And while not to diminish that accomplishment, it shouldn’t obscure the fact that Jackson doesn’t run all that well (4.56 at the Combine) and he’s a bit stiffish in the hips. I see him as a slightly better prospect than Kevin King, who went 33rd overall to Green Bay last April. 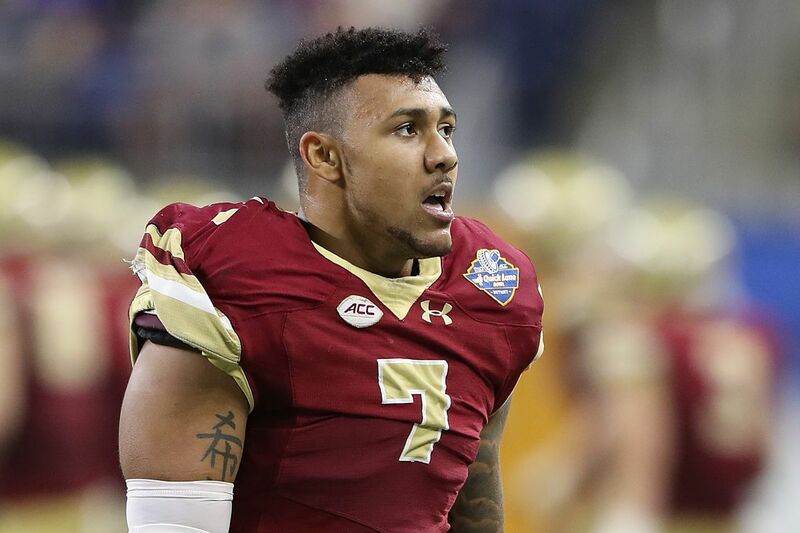 10) HAROLD LANDRY (Boston College) – Taking him at 14 would be the epitome of reaching to fill a need. He reminds me of Bruce Irvin, who was selected 15th overall by Seattle in 2012 and who’s gone on to have a solid but unspectacular career in the NFL. Gutekunst needs to do better than solid. The smallish Landry will struggle against the run, and while he has legit pass rush skills, I wonder how he’ll fare against athletic tackles who outweigh him by 70 or 80 pounds. This is a player you take a chance on in the 20s, but not in the early teens. 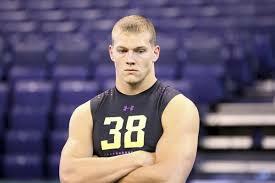 *There is a rumor that some teams may be concerned about a neck injury suffered by Vander Esch a few years ago. This could obviously affect where he’s drafted.